I started off by concealing, atm I am using two different concealers. I use the Maybelline Fit Me concealer in Fair Clair, to cover any spots and to cover the super dark areas under my eyes. 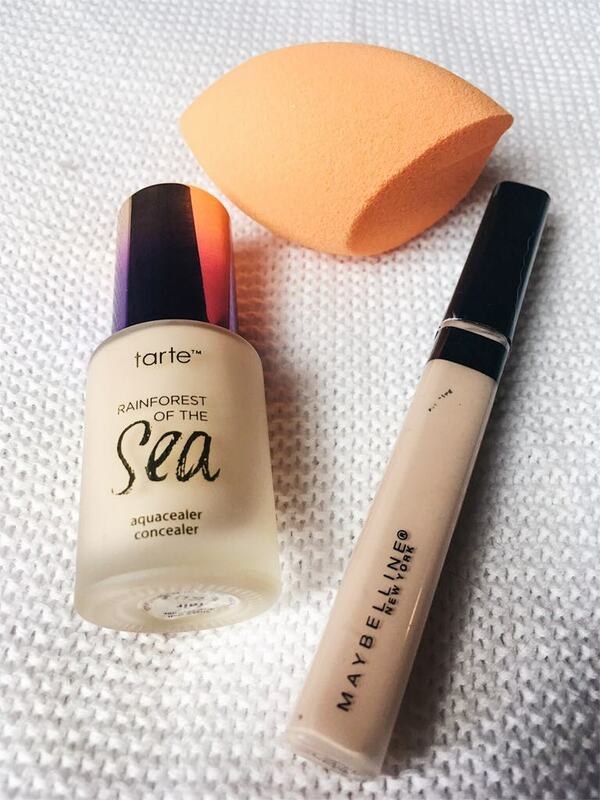 And then I take my Tarte Aqua Hydrating Concealer in Fair to brighten under my eyes and highlight my face. Then I fill in my eyebrows using my favourite brow pencil ever! 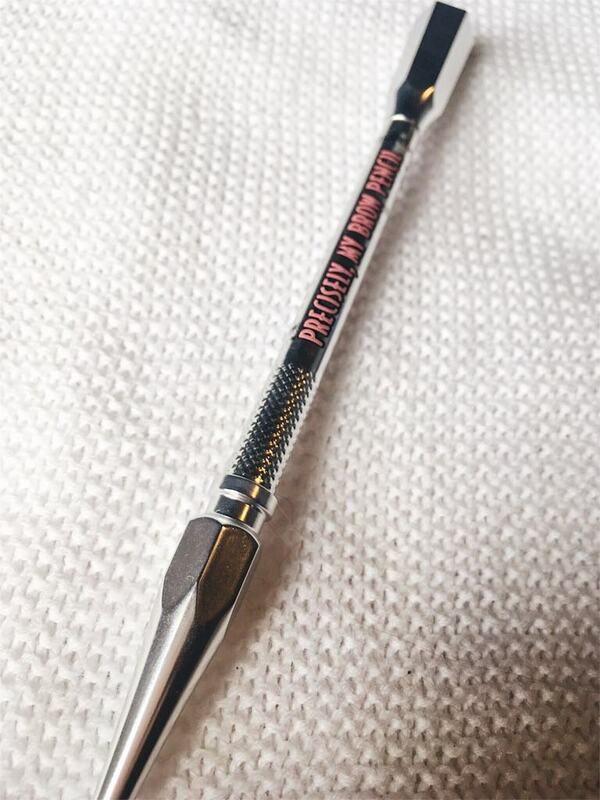 The Benefit Precisely My Brow Pencil in shade 3. I love this pencil as I can easily fill in my eyebrows while still making it look quite natural. 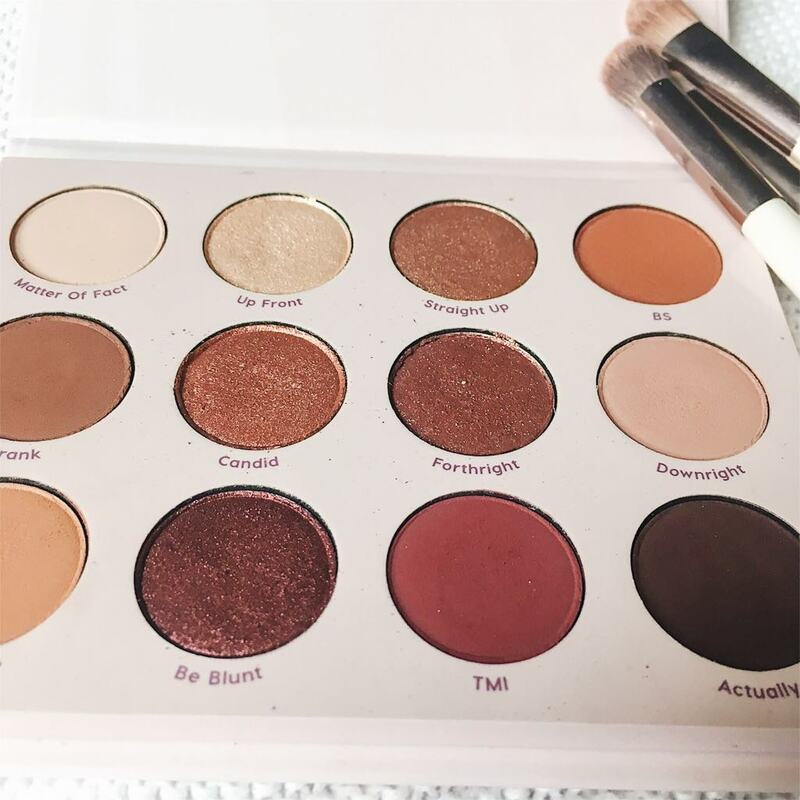 For my eye shadow I have been loving the Colour Pop “Give It To Me Straight Pallet”. I start off by using the shade “matter of fact” as a base all over my eyelids. Then I blend “Truth Hurts” into my crease, followed by “Downright” to darken it up a little. As well as blending the two colours onto my lower lash line. Using “TMI” I blended it in the outer V of my eye to add some more dimension to the look. Then I packed the shade “Candid” all over my eyelid and then finally I took “Up Front” and placed it on my brow bone, inner corner and the center of my eyelid. 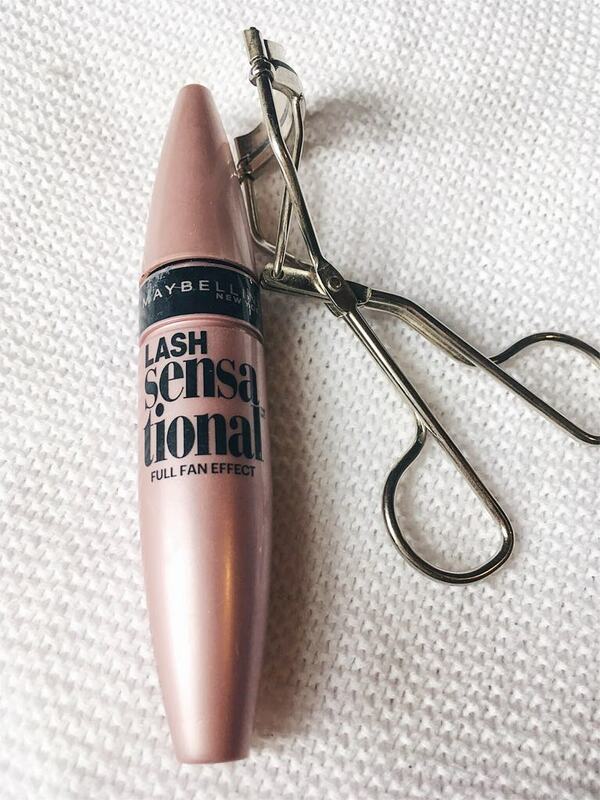 And then I applied two coats of my Maybelline Lash Sensational Mascara in Blackest Black, after curling my eyelashes with my ManiCare eyelash curler. To contour and highlight my face I have been loving using the Australis Contour Book, I mixed a few of the darker contour shades, then used it to warm up my face and add some more dimension. Then I mixed the 3 lightest highlight shades and applied it on my cheekbones, cupids bow and nose. 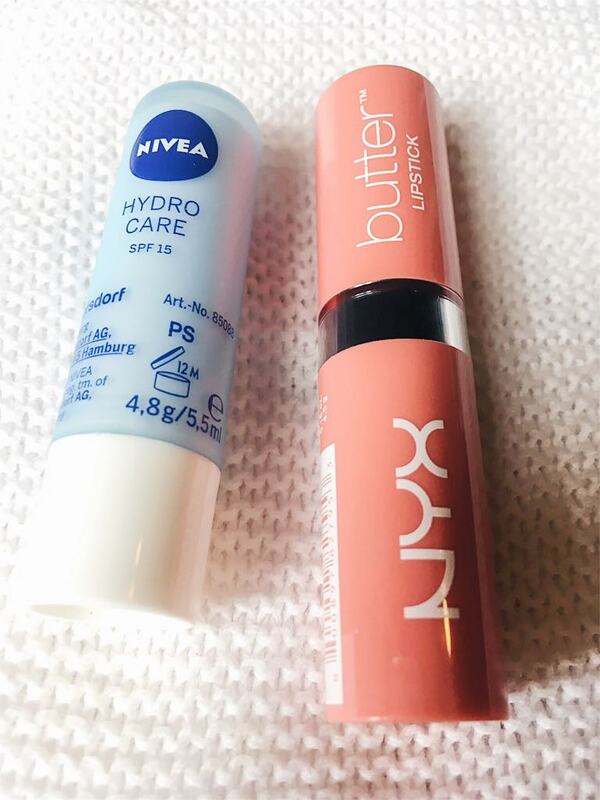 Finally I used my Nivea Lip Balm to prime my lips and then I applied my NYX Butter LipStick in the shade “Candy Buttons Bon Bons”. My Outfit is defiantly one of my current favourite looks! I hope you guys liked this weeks post! 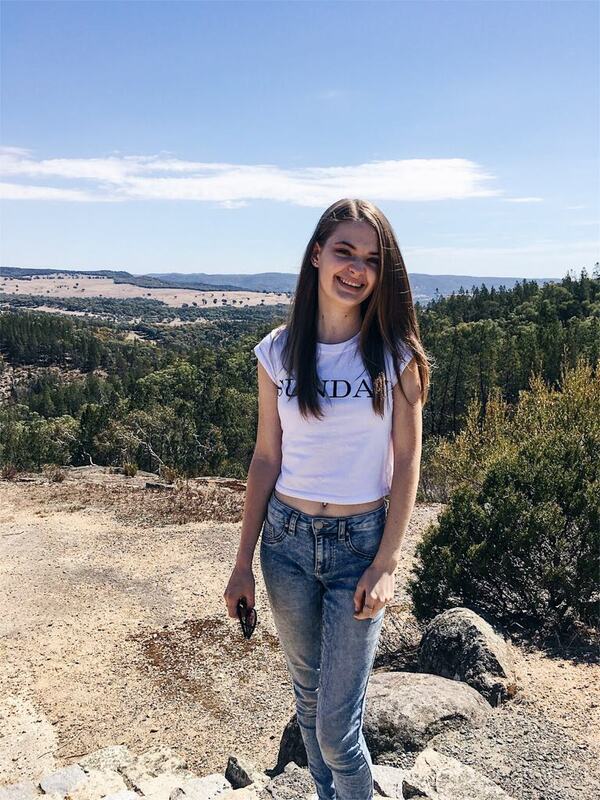 Make sure you go and check out Carly’s Blog HERE. Oh my goodness ELina! I love your blog so much! I love the amount of care and detail you put into it! I also love that you’re doing colabs with others. Can’t wait for your next post!